Can Rabbits And Chinchillas Live Together? Do you have a chinchilla and a rabbit? Do you think they might like to keep each other company? 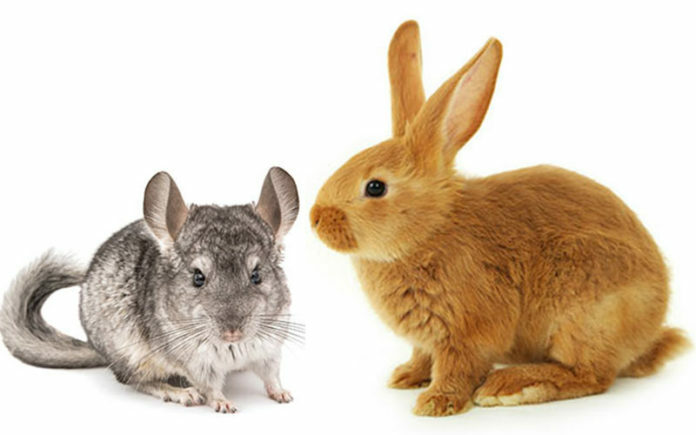 In this article we are going to look at the differences between chinchillas and rabbits. Answering that all important question – can rabbits and chinchillas live together? Chinchillas are cute and rabbits are cute. So if you put them together in the cage you get to a whole new level of cute, right? Or is that right? Can rabbits and chinchillas live together safely? If you already own one of these small animals and you’re looking to buy/adopt another small animal, then you may be wondering if you can just house them together. To save space/money/help the animals bond faster. It’s easy to assume that small animals are easy going and friendly all of the time. But there are significant differences between most species that you need to be aware of. Read on to find out if rabbits and chinchillas can get along and live together! Is A Chinchilla A Rabbit? Are chinchillas rabbits? They look similar, so are they the same species? You may assume that the two are closely related because they are both small, they have similar physical features and you can even buy ‘chinchilla rabbits’. But chinchillas and rabbits are not from the same species. They are unable to breed, they require different living arrangements, and they have different genes. Even Chinchilla rabbits are not actually chinchillas at all. This breed of rabbit was ‘created’ by a French engineer called M.L. Dybowski at the beginning of the 20th century. These rabbits got their name because they were bred to have soft, silky and luxurious fur which is very similar to chinchilla fur. There are currently four different types of chinchilla rabbits. The Standard Chinchilla Rabbit is a gorgeous medium-sized creature. The American Chinchilla is larger and was first bred for meat. The Giant Chinchilla is a large rabbit which can weigh up to 16 pounds. Chinchilla rabbits have great temperaments and they make awesome pets, but they are still rabbits and not chinchillas. So, they’re not the same species, but are they related? And where does this leave us with the question can rabbits and chinchillas live together? Are Chinchillas Related To Rabbits? There has recently been some debate over whether chinchillas are more closely related to rabbits than we used to think. Chinchillas are normally classified at rodents, whereas rabbits are classified as lagomorphs. Lagomorphs and rodents share an ancient common ancestor, but there are significant differences between the two. They are generally regarded as two separate species that are not closely related. However, recent genetic testing has suggested that chinchillas are not actually rodents at all! A few people think that chinchillas should be added to the lagomorphs group, but chinchillas are still quite different to lagomorphs. Others think a whole new group should be created for chinchillas, guinea pigs and similar creatures. Chinchillas and rabbits are both small mammals, but they have very different genes. They are unable to mate, they don’t necessarily follow the same diet, and they have different grooming and housing needs. Now we know chinchillas and rabbits are biologically very different. Let’s take a look at how that impacts upon their housing and the question of can rabbits and chinchillas live together happily. 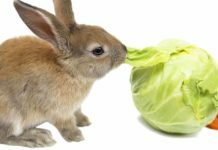 It may sound cost effective to feed your chinchilla and your rabbit the same food, but these two animals have very different digestive systems. They have different nutritional needs, and they can’t eat the same amount of food. Chinchillas have a sensitive digestion system because their digestion is done by the gut, whereas rabbits digest food with their large intestine and cecum. Both animals follow strict diets. The chinchilla diet consists mainly of hay, pellets and a tiny snack now and again. 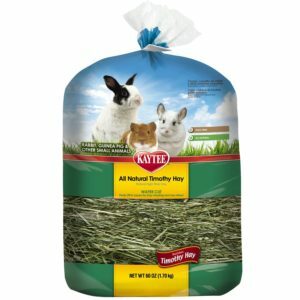 The rabbit diet is similar, but in addition to the hay and pellets, they are also partial to leafy greens and fresh vegetables are a regular part of their diet. Rabbits and chinchillas have their own specific pellet. As a general rule, they should stick to the pellets which have been made for them. Rabbit pellets have been designed to meet the nutritional needs of a rabbit, whilst chinchilla pellets have been created for the chinchilla’s sensitive tummy. However, chinchillas should be able to eat high-quality rabbit pellets. Although their portions will be a lot smaller than what you would give a rabbit. Not all rabbit pellets are suitable for chinchillas, however, and you should double check the ingredients to make sure it is suitable for your chinchilla. Can Rabbits Eat Chinchilla Food? Chinchillas and rabbits follow a fairly similar diet which mostly consists of hay and pellets. Chinchillas are a little fussier about their hay than rabbits are. But they should both be able to eat the same hay. Neither rabbits nor chinchillas are able to digest much sugar (including natural sugars). However, they can be fed the occasional piece of fruit or the odd raisin. Rabbits can eat more fruit and fresh vegetables than chinchillas can. However, your chinchilla cannot eat as much as a rabbit. Too many vegetables and fruit could give your chinchilla serious digestive issues. When you are giving your chinchilla a treat it should be a really small amount and infrequent. Whereas you can give your rabbit a larger treat more often. Chinchillas love treats and they will happily overeat. But overeating can be really dangerous for their digestion and could potentially kill them. They will beg you for more food, but you can’t give in no matter how cute they are. Rabbits should not be given too many treats either, but they are able to eat larger portions in comparison to a chinchilla. You should give each animal the correct proportions for their species. Never give them the same amount of food, apart from hay. Your rabbit’s could probably eat the chinchillas food and be fine. Although they should be fed the correct portions and foods including fresh green vegetables. But a chinchilla should not have access to the rabbits food. The chinchilla can’t eat as much, but that doesn’t mean they won’t try! Don’t put the rabbits food and the chinchillas food in a place where the chinchilla can access it. Your chinchilla will try to eat all the treats and they might get really sick. Can Rabbits and Chinchillas Share Food? It’s not a good idea to let your bunny and chinchilla share food. You should keep both animals’ food separate, keep them in their prospective cages when they eat, and don’t leave them alone with each others food. Do Chinchillas Get Along With Rabbits? Chinchillas can get along together and may even be able to develop a friendship. But it is a gradual process with no guarantees. If you want your rabbit and chinchilla to be friends, you should start off by putting their cages next to each other and see how they respond. 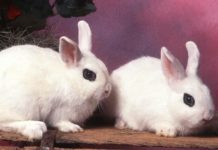 When they seem okay with it, then you could hold both the rabbit and chinchilla on your lap to help them get acquainted. If they don’t seem too put off by each other, put them on the floor with both cages open so they can escape if they choose. You should always supervise these interactions and separate the animals if they seem uncomfortable or violent. Even if they are getting along you still shouldn’t leave them alone together because, aside from anything else, bunnies are larger than your average chinchilla and they could hurt your chinchilla by accident. So, although your bunny and chinchilla might well become friends, the answer to can rabbits and chinchillas live together is still no. Rabbits and chinchillas can certainly live in the same house, but they should not live in the same cage. Here are some reasons why chinchillas and rabbits don’t make good roommates. Chinchillas and bunny’s different animals and they have different needs. Chinchillas, for example, need regular dust baths as part of their grooming regime, and these dust baths are likely to cause respiratory problems in other animals including rabbits. Rabbit droppings contain a bacteria which can kill a chinchilla, so it is best that they are not left in the same space without supervision. Rabbits have a killer kick which, if they were to kick your Chinchilla, could actually kill them. Rabbits may look sweet and innocent, but they can be dangerous if provoked. 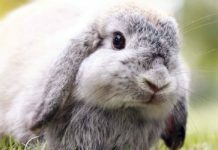 It’s not a good idea to leave a rabbit alone with other animals, particularly smaller animals, as things could go wrong quite quickly. Chinchillas are clever and sociable creatures, but they can be a little highly strung, aggressive and violent to other animals (and to other chinchillas!) You don’t want your chinchilla to pick a fight with your rabbit because as fierce as they are chinchillas are still very little and fragile. Rabbits and chinchillas play differently and may not ‘get’ each other. Rabbits and chinchillas also require different cages. Chinchillas like to climb and they should be housed in a ‘tower block’ cage with lots of levels, whereas bunnies are much more partial to a bungalow set up and they like to have separate compartments within their cage. Chinchillas and rabbits handle heat a little differently. Chinchilla’s can withstand the cold, but they cannot handle warm temperatures and anything above 80 degrees Fahrenheit could cause heatstroke and potentially kill them. Rabbits can normally live outside, but chinchillas cannot. Rabbits and chinchillas both make great pets and they may even get along well together, but for practical and safety reasons they should not live together in the same cage and they should not really be left alone together or be given access to each others food. Next articleDo Chinchillas Like To Be Held? Thanks Luan, I am very pleased we could help. My rabbit and chinchilla have lived together for a long time. They are best buddies. Even sleep together. Litter box trained and all. 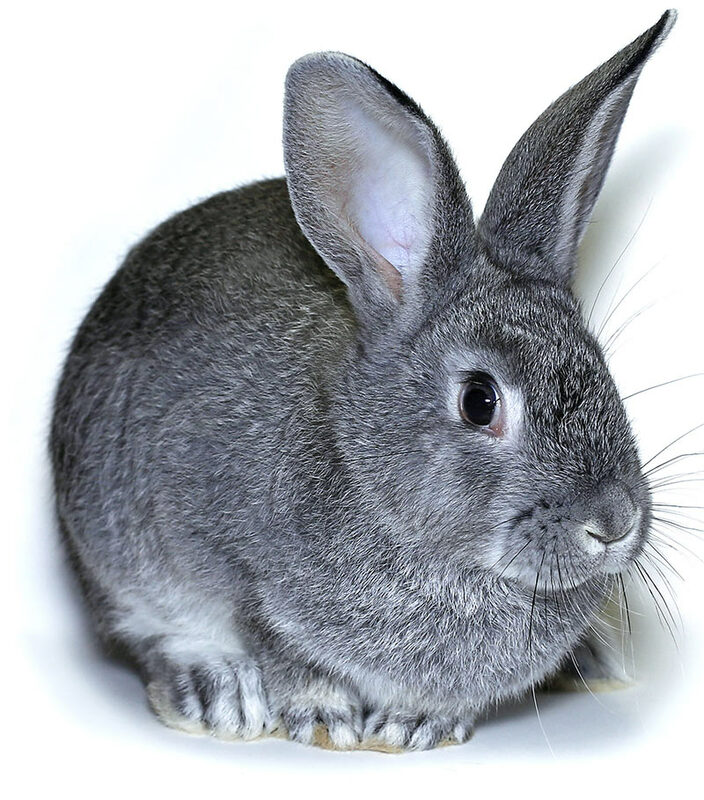 can chinchillas breed with rabbits?